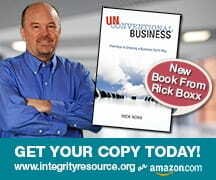 One of Integrity Resource Center’s exciting programs is our Next Generation Leadership. By matching college students with godly leaders in their chosen industry, this pairing provides value for both parties. If you desire our future workplaces to be seasoned with godly young leaders, consider mentoring one of them.